Global Voices Summit 2012 » Kenyan Bloggers, Want to attend the Global Voices Citizen Media Summit for free? 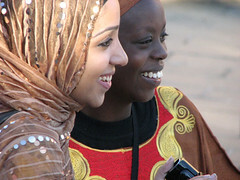 Global Voices, the international citizen media network, will be holding the Global Voices Citizen Media Summit 2012 in Nairobi on July 2-3, 2012. Bloggers, techies and activists from over 60 countries will participate in the event, which will take place at the PrideInn Raphta Road in Westlands. Global Voices is offering six bloggers based in Kenya the opportunity to attend the event for free. To put yourself in the running for one of the six spots, write a blog post of 500 words or less on the topic “How citizen media can help ensure peaceful elections in Kenya in 2012-13″, and e-mail the link to georgiap at globalvoicesonline dot org, with “GV Summit 2012 Blogging Contest” in the e-mail subject line. The deadline for entering is June 11, 2012. Entries will be judged by a panel from Global Voices. For details on the Global Voices Citizen Media Summit 2012 visit https://summit2012.globalvoicesonline.org/. This should be a great chance for us local bloggers to enhance and get together with other bloggers as well. I’m so looking forward and applying for it.